Moving to a new home can be disorienting and traumatic for a dog. With unknown smells and sights around, canines tend to get afraid and anxious. 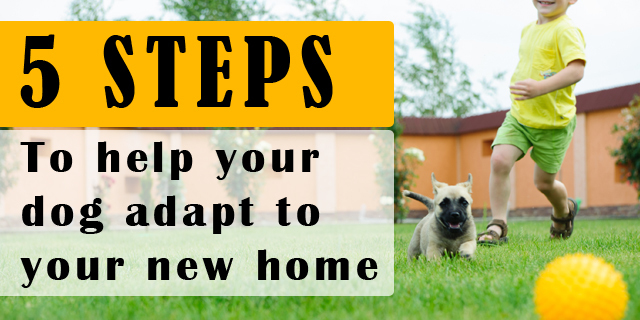 Along with the concern of your own adaptation to the new surroundings, you may need to be extra cautious about your dog’s transition to a new place. This transition can be made comfortable if you take care of some minor things. There are some points which, if kept in mind, the whole process of shifting becomes easier for pets. Let’s check these 5 tips to help your furry pal in adapting a new life at a new place. Some days prior to the moving day can be very busy and stressful. However, try to maintain your dog’s routine. Buy a carrier before a few days so that your pooch gets familiar with it. If the new place that you are moving to is not too far, try to visit its surrounding places twice or thrice before the moving day. That helps the pooch to get used to different smells and sights that he might experience there. Clip your tyke’s nails to protect them against hooking in carrier doors, holes or other cervices. Before a day prior to moving, get a new collar ID pad and add all the new information about your new home. Have your pooch wear both the IDs so that it becomes easier to track you in case he gets lost. On the day of moving, the hectic atmosphere may freak your little one. To protect him from all the hustle-bustle, keep him in a quiet place like a bathroom. Keep his toys and food in his crate. Professional movers or your friends are strangers for your canine. He may not react well on seeing any of the strangers around him during all the packing and moving. Keep a sign of “Do not enter” at the door and make sure there is one of your family members to take care of him. So that there is no possibility of forgetting him in the haste of leaving. Air travel needs a lot of advance planning. Try not to send your pooch by air unless necessary. If at all it is a necessity, have a word with your vet if your pooch is ready to fly. Talk to the airlines about their requirements on vaccinations or other things for your dog. The airlines carry a limited number of pets, so check the availability of seats with them to avoid last minute cancellations. If you are traveling by car and your furry pal is accustomed to it, then the first thing is to train your pooch for the restraining harness. Don’t let him peep outside the window as the debris particles in the air might hurt him. Never let him stay alone in the car in any weather. They can never be safe alone in the cars. The trunks of the car or storage area of a moving van can hurt your sweet friend. In both modes of travelling, anti-stress pills should be kept handy. As you start moving your possessions in your new home, look out for places that could hurt your furry friend. Make sure your dog is safe from the hazards like poison, loose fences, electric appliances, sharp objects and things that could choke your dog like thread, needle etc. Search for the nearest vet clinic so that any emergencies could be handled well. New surroundings are often freaky for pets. To make your friend feel at home, you may need to give him the same warmth of your old home. Try to spend as much as time with your dog. Invite your old neighbors so that he gets some familiar smell and sight. Play catch or walk him in the nearby places to make him familiar with the surroundings. Set up your dog’s belongings like his crate, toys, food and water bowls. They will help him in settling into the new environment. Let him explore the neighborhood and accompany him while he does so. Reassure him with love that now this is his new home by talking to him and showing affection. You have to use the most affectionate house warming tactics to let him settle in. To sum up, you may need special plans for your pooches before you start shifting to your new place. Most of the pets get anxious when they see new places and people. It may take a lot of effort to make them comfortable in your new home. With a thorough planning, this task can be accomplished successfully. 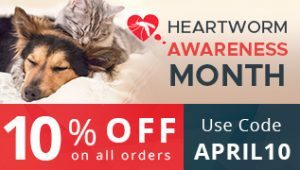 So, plan well and make your pet feel at home at your new home! PREVIOUS POST Previous post: How to Convert Your Overweight Dog into a Healthy Pet?